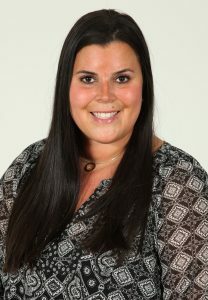 Kym Diamond Teperman has played an active role in various organizations, namely Save a Child’s Heart (SACH) Canada where she co-chaired the Young Leadership Board and has volunteered for the organization for over 9 years. She also received The Dr. Louis Peltz Volunteer Leadership Award for SACH in the summer of 2018. Kym is currently a Vice President at BrandSpark International, heading up the awards business which is used by top Consumer Packaged Goods (CPG) brands in Canada and the US. She is celebrating her 10 year anniversary with the company this year. 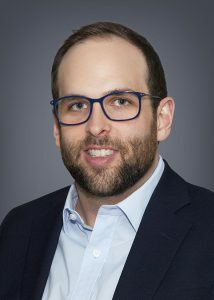 Kyle Lichtman has been an active member of the Jewish community for over 10 years, starting from his time as the President of Hillel at Western University and continuing in his current role as Co-Chair of Leadership & Mentorship for UJA’s Genesis. Upon graduating from Western University, Kyle received the “Honours W Award” for outstanding contribution to the Community through volunteer and extra-curricular activity. Kyle also holds a Masters in International Business from the University of London, England. Kyle is involved with Chabad of York Mills, where he spearheaded a Shabbat dinner program for Young Professionals and in 2013 was awarded their Young Leadership Award. Kyle created ICRF’s Next Generation event, Revolving Tables, and received the 2012 ICRF Volunteer Award and was an ICRF Board Member for 9 years. Kyle is a graduate of the Joshua Institute and has held several positions at UJA, from Co-Chair of the Birthright Madrichim in Training program to a number of Campaign Fundraising positions on the Young Leaders executive, including Co-Chairing UJA’s U40. Kyle was honoured with UJA Federation’s 2018 Leadership Development Award and will be the 2019 Co-Chair of Leadership & Mentorship for Genesis. When not lending his efforts to the community, Kyle is busy leading the End of Promotion, Customer Base Marketing team at Rogers or enjoying life with his wife, Marli and son, Max!